Shaun McTigue joined Sonoma Country Day School in July of 2017 as the Lower School Division Head. 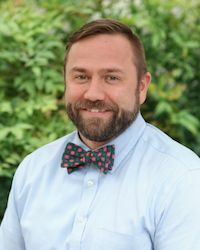 He ensures that the lower school lives the mission of the school, to bring learning to life, and strives to uphold a healthy learning environment for all students. Shaun earned his undergraduate degree from Loyola University Chicago, and a MEd from Jones International University. Shaun has worked in independent schools in Chicago and Detroit, and spent four years teaching abroad in the UAE. Shaun is drawn to independent schools because of the community feel and ability to meet students where they are in the educational journey. The attention given to fostering relationships with students and parents is a major reason Shaun is here at SCDS. Shaun has two sons enrolled at SCDS, and couldn’t be happier to have his family be a part of such a great institution. 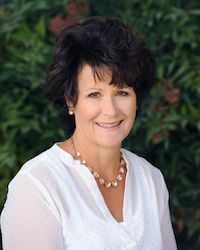 Juna McDaid joined Sonoma Country Day School in July of 2017 as the Middle School Division Head. She ensures that the middle school lives the mission of the school, to bring learning to life, and strives to uphold a healthy learning environment for all students. 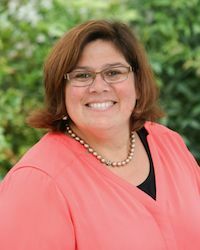 Juna earned her undergraduate degree in English from Boston College and two master's degrees from Boston College's Graduate School of Education and Middlebury College's Bread Loaf School of English. Juna has worked in public and private schools in Boston, Los Angeles, Philadelphia, and San Francisco before settling in Sonoma County with her partner Dan and two sons, Quinn '26 and Troy. As a graduate of independent schools in Connecticut, Juna understands the benefits of an independent school education and the attention to the individual. As a shy student who wanted to stay anonymous, she is thankful for how she was challenged to explore activities she may not have on her own and supported to discover passions yet unknown. Thus, Juna enjoys discovering new places/activities with her family, reading, scrapbooking/crafting/DIY-ing, watching tv, running, and playing the cello when she can. Jennifer Macias joined the Sonoma Country Day School community in 2003 following a career in law enforcement as a public safety dispatcher. Jennifer fulfilled a variety of administrative roles in the human resources and business offices at SCDS before serving in her current capacity as Director of Finance and Operations. Responsible for the financial health and investment management of the school, Jennifer also oversees human resources and the school facilities. She holds a degree in business administration with an emphasis on business and finance, and is a member of the California Independent Schools Business Officers Association and the National Business Officers Association. Jennifer and her husband, a police officer for the City of Santa Rosa, have two daughters who attend SCDS. They are also the proud parents of a pre-school aged son, and enjoy camping and spending time outdoors as a family. A Sonoma County native, Jennifer has served on several nonprofit boards and has volunteered for underprivileged youth organizations throughout the community. Elizabeth Gleadall joined the Sonoma Country Day School community in 2001. She moved from The Gillispie School in La Jolla, California, where she had worked for six years as a first grade teacher and then as director of development. An alumna of independent elementary and high schools, Elizabeth is passionate about the value of a K-8 independent school experience and its role in providing a strong educational foundation and setting the stage for success in high school, college, and into adulthood. Elizabeth has many years of experience in development, and many more as a volunteer for nonprofit organizations. She has led successful annual and capital campaigns, produced numerous special and fundraising events, initiated fundraising, major gift, and grant programs, developed award-winning publications and events, and designed and managed public relations and marketing campaigns. Among her awards is the national Circle for Excellence Award for Educational Fundraising presented by the Council for Advancement and Support of Education. 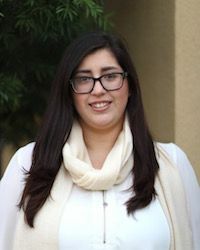 Elizabeth graduated with honors from the University of San Diego, where she received a master’s degree in education, and from the University of California, San Diego, where she received a bachelor’s degree in communications. She attended elementary school at The Palm Valley School, an independent school in Palm Springs, California, and high school in Tennessee at the Webb School of Knoxville. She lives in Healdsburg with her husband Tim and their children, William and Sarah, who both attend SCDS. Kelly Schmidt began her career at Sonoma Country Day School in 2006 as a Neighborhood Associate. She spent two years in the primary division as an Associate Teacher before joining the admission office in 2009. Kelly loves meeting prospective families and students and teaching them about the opportunities, programs, and community that make SCDS the truly special place that it is. Besides overseeing the admission process for families entering SCDS, Kelly also counsels eighth grade students and their families on secondary school placement. She is the alumni relations contact for our young graduates, coordinates the weekly all-school Assembly, and also enjoys chaperoning student trips, whether they be local backpacking or international experiences. Outside of SCDS, Kelly is an avid equestrienne and orchid enthusiast. She has a Thoroughbred horse named Fox and a German Shorthaired Pointer named Ambrosia. 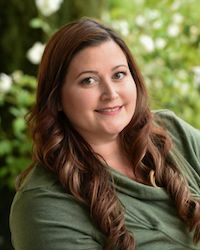 Kelly grew up in Sonoma County and is a graduate of Analy High School, as well as UC Santa Cruz, where she earned a bachelor's degree in Literature with an emphasis in Creative Writing. 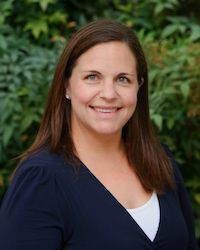 Kelsie Petersen was born and raised in Folsom, California and received her undergraduate degree and teaching credential from Sonoma State University. Kelsie's passion for education was infused in her from the very beginning as she was raised by a mother who was an elementary teacher, turned principal. Kelsie is thrilled to join the Admission Office this year! In her free time, Kelsie enjoys going to the beach, taking her dog for a hike, and visiting her family. Alana De Mars is a northern California native who began her career in education and recreation with the San Mateo School District in 1990. She and her husband Scott made the move to Sonoma County in 2000 when Alana began at Sonoma Country Day School. While hired to coordinate extended programs and SCDS summer program, her role quickly evolved to include facilitating student council, service learning and community service, as well as eighth grade fundraising. Alana has had the pleasure of experiencing the SCDS community both as a staff member and now as a parent to Maxine, class of 2017, and Clayton, class of 2020. Tina Souza joined the Sonoma Country Day School community in June of 2004. Originally a member of the technology team, Tina has moved into the position of school secretary, maintaining student information and files, managing the office, and acting as the connection between parents, students, and teachers during the school day. Tina is responsible for the creation and implementation of our extended programs robot club and is a member of the Sonoma County Robotics Steering Committee. She is also involved in FIRST Lego League, an international organization inspiring children to explore science and engineering through robotics. Tina is a wooden boat enthusiast and enjoys spending time with her husband and children traveling Lake Tahoe’s west shore in their 1971 Abbate mahogany boat. She also enjoys playing bocce ball at her home in west Petaluma. Operations Manager Sean McFarland joined SCDS in 2014 after an extended stint as Chief Engineer of Madrona Manor in Healdsburg. After graduating from UC Berkeley in 1993, he caught a serious travel bug which led him to Portugal to write a guidebook on the country, then to Mexico and Central America where he ended up running the Green Tortoise Adventure Travel's Central American operations. After ten years of driving busses through the jungles of Costa Rica, Nicaragua, and Panama, he decided it was time to move to beautiful Sonoma County with his wife, who he had met on the bus. He now enjoys a somewhat more predictable life and lives with his wife and son in Forestville. At SCDS he loves keeping the buildings and grounds running smoothly and looking beautiful as well as sharing a lifetime's worth of hands-on skills with the students. Elizabeth holds a Master of Arts in Journalism from New York University and a Bachelor of Arts in Political Science from UC Davis. Before joining the Sonoma Country Day School community in 2016 as our Director or Annual Giving and Special Events, she served as the Associate Director of Advancement, Communications, and Marketing at The Hamlin School in San Francisco. She has also worked at Anova School in Santa Rosa and at Goodwill of San Francisco. Elizabeth brings a passion for education, writing, and independent schools to her development work and her warmth and excitement are an excellent addition to our team. Stacey joined the Sonoma Country Day School community in 2014 as our Registrar and Database Administrator and is now our Information Systems Manager. She manages all of the software systems that make things run smoothly here! Stacey has an Associate's Degree in Business Software from Heald College, in addition to certifications in computer forensics and Blackbaud, the software platform we use at SCDS. Prior to working at SCDS, Stacey spent eight years at Sonoma Academy, working in enrollment and marketing. Stacey lives with her husband, Fin, and children Stella (Class of 2025) and Sienna in Santa Rosa. Stacey is a native to the area, and her family opened the first Mexican restaurant in Sonoma County! With over over ten years of public accounting and tax experience, including services for non-profits, individuals, partnerships, S- and C- corporations, trusts, and estates, Anna joins us from BPM LLP in Santa Rosa. Anna is a committed member of her local community, and is a member of the Junior League of Napa-Sonoma where she serves as treasurer. It is this desire to connect with and serve her community that has drawn Anna away from the tax world and into SCDS’ business office. Anna’s son, Elio, is a member of the SCDS Class of 2026, and Anna shares that she is inspired daily by her family’s experiences at our school and looks forward to participating at a professional level. 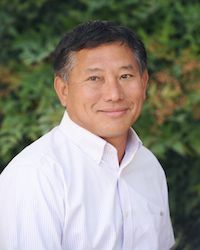 Chen Souksavath enjoys working at Sonoma Country Day School because he likes the children as well as the buildings and garden. He has been a member of the Sonoma Country Day School community since 2002. His work includes preparing audit schedules, financial reports, and income tax returns for the school and the Country Day Parents. His career has also included work for CPA firms in Napa and Santa Rosa as well as other non-profit organizations within Santa Rosa. Chen was born in Laos and loves to travel. With a particular fondness for Thai and Lao cuisine as well as the Big Island's weather, he visits Laos, Thailand, and Hawaii whenever he can. He also loves playing tennis and running every day. His greatest achievement in sports has been coaching his three daughters Jenny, Susan, and Laurie, all of whom received tennis scholarships to college. Aside from his skills with numbers and in sports, Chen is one of the leaders for the Laotian community in Santa Rosa where he lives with his beautiful wife Savoy, his three dogs and two cats. 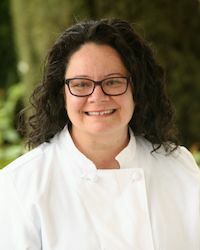 Chef Shelley joined the community at Sonoma Country Day School in 2015 as our in-house chef, facilitating our hot lunch program and serving as our caterer for special events. She obtained her Bachelor of Arts in Anthropology from Sonoma State University, and it was her passion for ethnobotany--the use of plants by humans, including edibles-- that led her to cooking. She earned a culinary arts certificate from the Santa Rosa Junior College in 2007 and was a chef at Applewood Inn from 2007 until 2015 when she joined our team. In 2012, Shelley was one of only ten female chefs in the country to earn a Michelin star. David is one of our Operations Associates. He very much admires our community here at SCDS because students, parents, and staff are all so welcoming. What David enjoys most about being a member of our Facilites team is that he gets to experience the entire campus. He also has the opportunity to interact with the students, from building bird houses with the eighth grade class to mining for gold in the garden with fourth grade scientists. 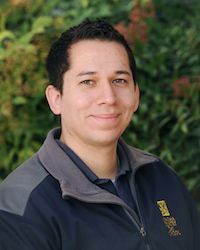 He enjoys traveling with his wife and likes to spend his weekends doing carpentry, working on DIY projects, and biking at Annadel park. Tim joined Sonoma Country Day School in 2015 as one of our Operations Associates. You may recognize him as the friendly face greeting you at the front gate! Tim has experience in security and retail, both of which serve him well as the first face visitors see when entering our campus. Isaac is one of our amazing Extended Program Associates. He is a Windsor native and studies kinesiology at the Santa Rosa Junior College. Issac grew up in a large family and loves working with kids, so working in the Neighborhood seemed like a natural fit for him! 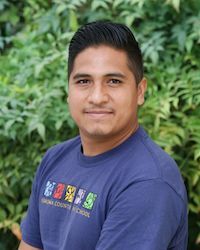 Frankie is a Sonoma County native who joined us as an Extended Program Associate in 2016. 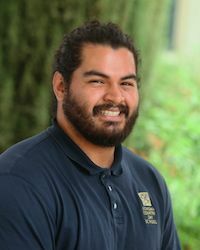 He is currently studying nursing with an emphasis on childhood development at the Santa Rosa Junior College. Frankie love working with kids and is enjoying being a member of the SCDS staff. Veronica joined the Sonoma Country Day School staff in 2017 as one of our Extended Program Associates. Veronica comes to us with a background in psychology and Social and Behavioral Sciences. She has the long-term goal of becoming a school counselor. You may also notice the similarity in her last name...she is David’s wife!